Morton Subotnick is one of the pioneers in the development of electronic music and multi-media performance and an innovator in works involving instruments and other media, including interactive computer music systems. Most of his music calls for a computer part, or live electronic processing; his oeuvre utilizes many of the important technological breakthroughs in the history of the genre. In the early 60s, Subotnick taught at Mills College and with Ramon Sender, co-founded the San Francisco Tape Music Center. During this period he collaborated with Anna Halprin in two works (the 3 legged stool and Parades and Changes) and was music director of the Actors Workshop. It was also during this period that Subotnick worked with Buchla on what may have been the first analog synthesizer (now at the Smithsonian Museum). In 1966 Subotnick was instrumental in getting a Rockefeller Grant to join the Tape Center with the Mills Chamber Players (a chamber at Mills College with performers Nate Rubin, violin; Bonnie Hampton, cello; Naomi Sparrow, piano and Subotnick, clarinet). The grant required that the Tape Center relocate to a host institution that became Mills College. Subotnick, however, did not stay with the move, but went to NY with the Actor�s Workshop to become the first music director of the Lincoln Center Rep Company in the Vivian Beaumont Theater at Lincoln Center. He also, along with Len Lye, became an artist in residence at the newly formed Tisch School of the Arts at NYU. The School of the Arts provided him with a studio (pictures) and a Buchla Synthesizer. During this period he helped develop and became artistic director of the Electric Circus and the Electric Ear. This was also the time of the creation of Silver Apples of the Moon, The Wild Bull and Touch. [The following is by Christian Hertzog from Contemporary Composers ] �The work which brought Subotnick celebrity was Silver Apples of the Moon. Written in 1967 using the Buchla modular synthesizer (an electronic instrument built by Donald Buchla utilizing suggestions from Subotnick and Ramon Sender), this work contains synthesized tone colors, striking for its day, and a control over pitch that many other contemporary electronic composers had relinquished. There is a rich counterpoint of gestures, in marked contrast to the simple surfaces of much contemporary electronic music. There are sections marked by very clear pulses, another unusual trait for its time; Silver Apples of the Moon was commissioned by Nonesuch Records, marking the first time an original large-scale composition had been created specifically for the disc medium - a conscious acknowledgment that the home stereo system constituted a present-day form of chamber music. Subotnick wrote this piece (and subsequent record company commissions) in two parts to correspond to the two sides of an LP. The exciting, exotic timbres and the dance inspiring rhythms caught the ear of the public -- the record was an American bestseller in the classical music category, an extremely unusual occurrence for any contemporary concert music at the time. It has been re-released on Wergo cd with The Wild Bull. In 1969 Subotnick was invited be part of a team of artists to move to Los Angeles to plan a new school of the. Mel Powell as Dean and Subotnick as Associate Dean and the team of four other pairs of artists carved out a new path of music education and created the now famous California Institute of the Arts. Subotnick remained Associate Dean of the music school for 4 years and then, resigning as Associate Dean, became the head of the composition program where, a few years later, he created a new media program that introduced interactive technology and multi media into the curriculum. In 1978 Subotnick, with Roger Reynolds and Bernard Rands, produced 5 annual internationally acclaimed new music festivals. �In 1975, fulfilling another record company commission, (this time, Odyssey) Subotnick composed Until Spring , a work for solo synthesizer. In this work, changes in settings which Subotnick made in real time on the synthesizer were stored as control voltages on a separate tape, enabling him to duplicate any of his performance controls, and to subsequently modify them if he felt the desire to do so. While the use of control voltages was nothing new, it suggested to Subotnick a means to gain exact control over real-time electronic processing equipment. The next step in Subotnick's use of control voltages was the development of the "ghost" box. This is a fairly simple electronic device, consisting of a pitch and envelope follower for a live signal, and the following voltage controlled units: an amplifier, a frequency shifter, and a ring modulator. The control voltages for the ghost box were originally stored on a tape, updated now to E-PROM. A performer, whose miced signal is sent into the ghost box, can then be processed by playing back the pre-recorded tape or E-PROM, containing the control voltages. As neither the tape nor E-PROM produce sound, Subotnick refers to their sound modification as a "ghost score". By providing the performer with exact timings, co-ordination between performer and the ghost score is controlled. Two Life Histories (1977) was the first piece involving an electronic ghost score; the bulk of Subotnick's output for the next six years was devoted to compositions involving performers and ghost scores. Some of the more notable works in this series include Liquid Strata (piano), Parallel Lines (piccolo accompanied by nine players), The Wild Beasts (trombone and piano), Axolotl (solo cello), The Last Dream of the Beast (solo voice) and The Fluttering of Wings (string quartet). The subtlety, sophistication and control over real-time electronic processing that Subotnick demonstrated in these innovative works secured his reputation as one of the world's most important electronic music composers. 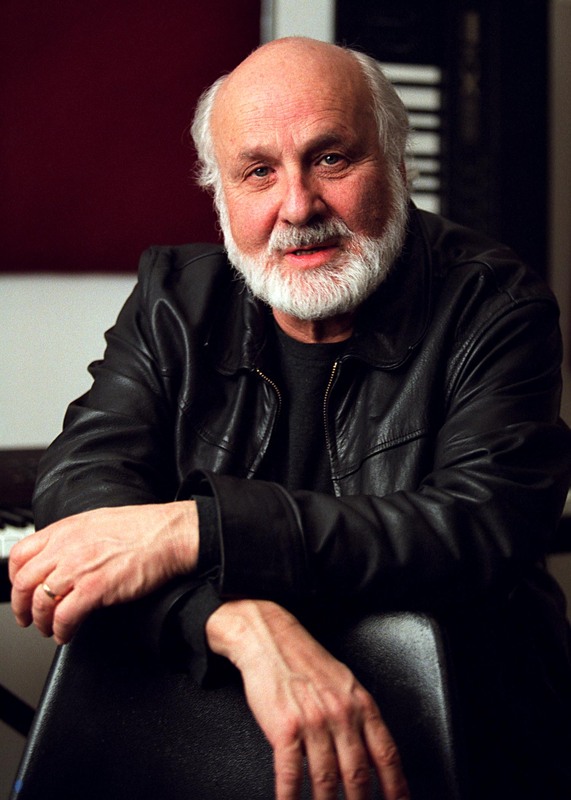 In addition to music in the electronic medium, Subotnick has written for symphony orchestra, chamber ensembles, theater and multimedia productions. His "staged tone poem" The Double Life of Amphibians, a collaboration with director Lee Breuer and visual artist Irving Petlin, utilizing live interaction between singers, instrumentalists and computer, was premiered at the 1984 Olympics Arts Festival in Los Angeles. The concert version of Jacob's Room, a mono drama commissioned by Betty Freeman for the Kronos Quartet and singer Joan La Barbara, received its premiere in San Francisco in 1985. Jacob's Room, Subotnick's multimedia opera chamber opera (directed by Herbert Blau with video imagery by Steina and Woody Vasulka, featuring Joan La Barbara), received its premiere in Philadelphia in April 1993 under the auspices of The American Music Theater Festival. The Key to Songs, for chamber orchestra and computer, was premiered at the 1985 Aspen Music Festival. Return, commissioned to celebrate the return of Haley's Comet, premiered with an accompanying sky show in the planetarium of Griffith Observatory in Los Angeles in 1986. Subotnick's recent works -- among them Jacob's Room , The Key to Songs, Hungers , In Two Worlds, And the Butterflies Begin to Sing and A Desert Flowers -- utilize computerized sound generation, specially designed software Interactor and "intelligent" computer controls which allow the performers to interact with the computer technology. All My Hummingbirds Have Alibis (1994) was an interactive concert work and a CDROM (perhaps the first of its kind), Making Music (1995), Making More Music (1998) were his first works for children, and an interactive 'Media Poem', Intimate Immensity, premiered at the Lincoln Center Festival in NY (1997). The European premiere (1998) was in Karlsrhue, Germany. A string quartet with CDROM, �Echoes from the Silent Call of Girona� (1998), was premiered in Los Angeles by Southwest Chamber Music. Subotnick is also doing pioneering work to offer musical creative tools to young children. He has authored a series of six CDROMS for children, a children's website [creatingmusic.com] and developing a program for classroom and after school programs that will soon become available internationally. These works are available from Alfred Music Publishers.